After the Tennessee Titans blew a 28-3 lead to the Cleveland Browns Sunday, sports fanatics in Middle Tennessee are eager now more than ever for the NHL season to begin Thursday. 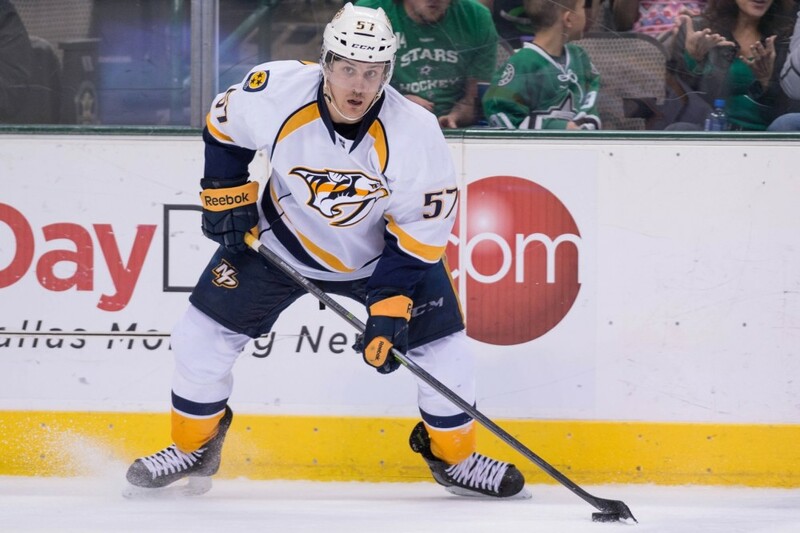 The Nashville Predators host a trio of games to start the season against the Ottawa Senators on Thursday, Dallas Stars on Saturday, and Calgary Flames on Tuesday, October 14. Although the first three games of the hockey season do not typically peak many’s interest, it will in Nashville. Seeing the new players and coaching staff will be interesting to see in a true game. Head coach Peter Laviolette knows, or at least should know by now, to not start the season off slow. Laviolette was fired from the Philadelphia Flyers’ coaching gig just three games into the season. As has been shown in every practice, Laviolette is bringing an up-tempo style that the franchise is not used to. 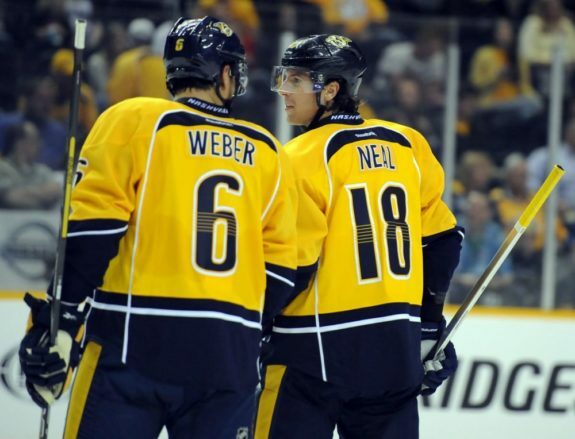 Nashville will have five new faces on the roster looking to prove themselves in a new organization. James Neal was acquired from the Pittsburgh Penguins during the 2014 NHL Entry Draft. In return, Patric Hornqvist and Nick Spaling was dealt to the Steel City. General manager David Poile sought to provide the proper assets for Laviolette’s system, so he was not done. The Predators signed Olli Jokinen, Mike Ribeiro, and Derek Roy to one-year deals worth $4.55 million combined. Each of them are capable top-6 forwards in the League, something Nashville has needed for a long time. While it is great to have four new faces added to the roster depth, injuries negated it — for now. Mike Fisher (ruptured Achilles’ tendon), Viktor Stalberg (lower body injury), and Matt Cullen (upper body injury) begin the year on injured reserve. Look for various line combinations. There is only one line set in stone: Rich Clune – Paul Gaustad – Eric Nystrom. The others will be experimented with. An interesting line is Gabriel Bourque – Ribeiro – Neal, who amassed 10 combined shots in the final preseason game. It is easy to figure out who does not belong, but Bourque’s gritty style may compliment the two scorers. Not only will the forwards be experimented with, the defense pairings could be altered, as well. Seth Jones has been paired with Mattias Ekhlom and Anton Volchenkov throughout training camp, but it appears the Russian veteran will teach the American sophomore for now. Meanwhile, Ekholm will be paired with Ryan Ellis. The power play was awful during the preseason. Scoring on just one of twenty-five man advantage opportunities is not acceptable, even if it is the preseason. Laviolette has consistently said it will take time trying to get everyone comfortable and adjusted. After six exhibition games, hopefully the power play is in sync. Stalberg is skating and participating in drills, so he could make his season debut against Calgary. Expecting a 3-0-0 start to the season? Do not get your hopes up. The Predators still have to acclimate into Laviolette’s system, so expect them to really turn the dial in the second half of the year. 1-1-1 start to the season.